A tongue-in-cheek anthem, Jubilo Drive’s “All U Can Eat” is a reactionary critique on consumerism and greed. Don’t you just loathe the material world sometimes? Our world is inescapably greedy – fully of selfish and self-indulgence. This isn’t today life is any less beautiful or miraculous, but humanity’s more vile tendencies can easily get in the way of an individual’s happiness. A tongue-in-cheek anthem, Jubilo Drive’s “All U Can Eat” is a reactionary critique on consumerism and greed. 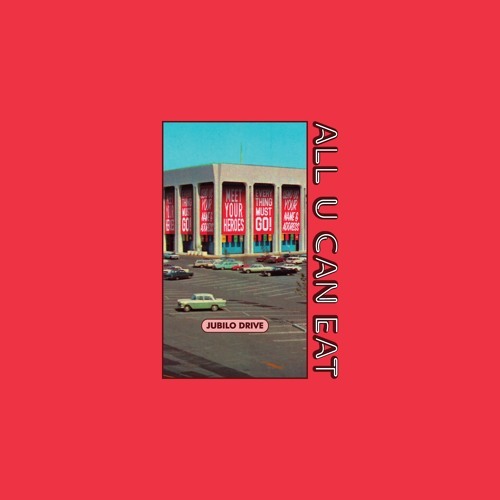 Atwood Magazine is excited to premiere “All U Can Eat,” an emphatic musical slap in the face from Los Angeles’ Jubilo Drive. Self-described as an avant-pop quintet, Jubilo Drive consists of Jordan Kleinman (Guitar/Vox), Aaron Shadrow (Keys/Vox/Production), Henry Kuckens (Guitar), Kalyn Beach (Bass), and Jacob Lauing (Drums). Originally forming in 2012 at Orange County’s Chapman University, the band went on hiatus after parting ways in 2016 – only to re-form, after the tragic passing of founding member Eric Cruz, late last year in the current lineup. While they describe themselves as avant-pop, Jubilo Drive are perhaps best appreciated as a band that doesn’t quite care for genre. Their progressive sounds theoretically fit under the “pop/rock” tent, but with a wide array of influences and a penchant for experimentation, why bother locking them down? “All U Can Eat” is an exaggerated and emphatic pushback to our hypermodern age of Walmart and Amazon. It’s a rejection to the constancy of major corporations shoving their fists down people’s throats, treating the consumer like a sheep rather than a dignified human. With its percussive pulse and driving sense of urgency, “All U Can Eat” is the kind of hyperactive song that sends the heart into double-time. Jubilo Drive challenge us to breathe as they overflow their own music with sounds, creating exactly the sort of cataclysmic chaos they’re denouncing so cheekily, but earnestly, in song. One gets the sense that this band is too smart for its own good, and truth be told, we’d rather they be this way than the alternative. Once you listen to this song a few times, you come to realize just how ridiculous some of today’s culture really is. And that’s just the first layer. Stream “All U Can Eat” exclusively on Atwood Magazine and get to know more of Jubilo Drive as the California quintet begin their ascent!